This soup is a staple in our house during the cooler months. It’s delicious, slightly spicy, and perfectly creamy. Served alongside a salad it makes for an easy meal. This soup is also great to make a larger batch of and keep for easy lunches during the week. 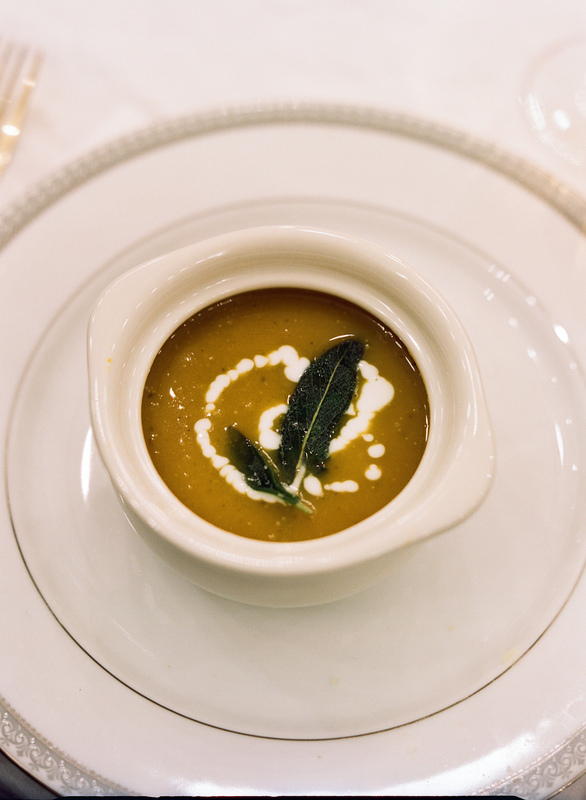 I recently served it with a drizzle of coconut cream and crispy sage for a dinner party that I hosted, and it was a hit. I hope you enjoy it as much as I do. In a large stockpot over medium heat, add ghee and onions. Cook until soft (or caramelize). Add minced garlic, sage, and butternut squash and cook 5 minutes. Add the cayenne and pour in the sherry to deglaze the pan. Next, add in the broth. Cover and simmer on low for about 25 minutes, or until squash is tender. 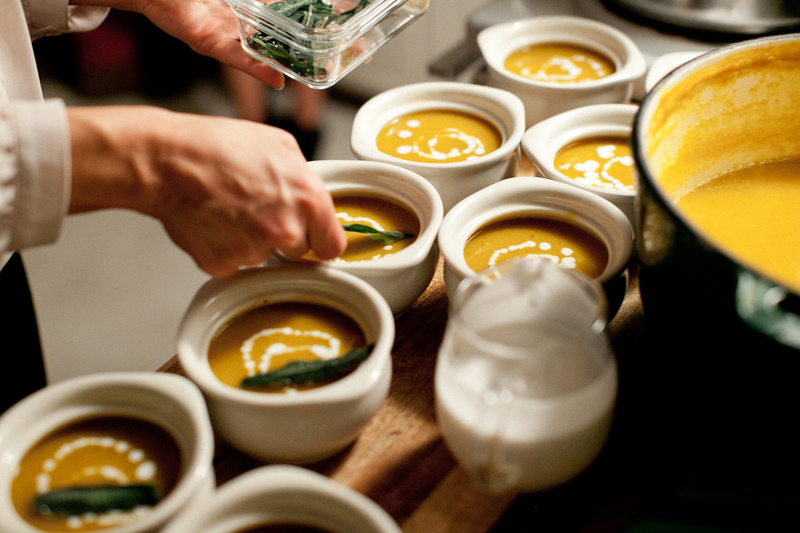 Once squash is tender, carefully puree the soup in the pot with an immersion blender or pour into a blender and process. Next, slowly stir in coconut cream and season to taste with salt and pepper. Optional: Top with crispy sage and a drizzle of coconut cream. For coconut cream: Place the can of coconut milk in the fridge overnight (this causes the cream and water to separate). Remove the chilled coconut milk from the fridge and carefully flip the can upside down. Open the can and pour off the coconut water into a container (You won’t be using the water for this recipe. Save it for smoothies, rice, or soups!). Scoop out the hardened coconut cream. 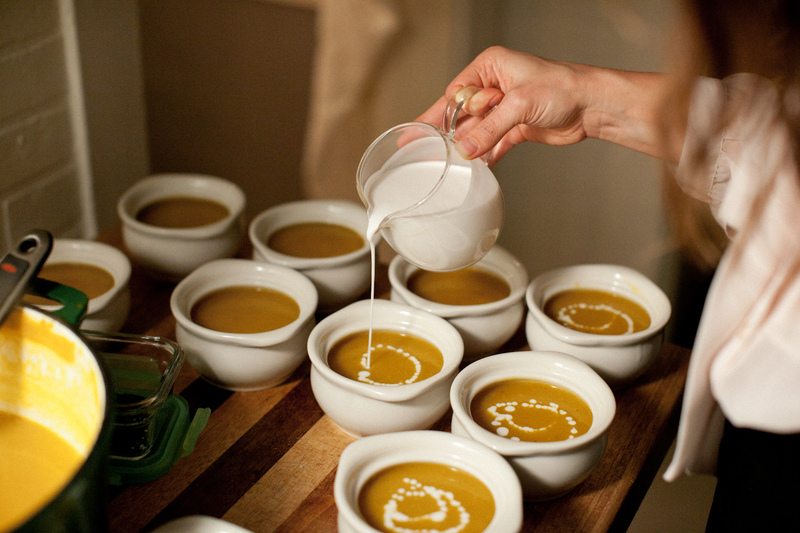 Let sit at room temperature (or near the soup while it cooks) until it returns to a liquid. Now it’s ready to use for the soup! For the crispy sage: Follow this recipe, but I would use an oil with a higher smoke point like ghee, coconut oil, or grapeseed oil to fry the sage.